When you're not ready to admit your feelings for someone, you can send your secret crush an anonymous gift. Enclose a note that can say something simple, such as you thought this gift would bring a smile to her face. Write a note to put on top of the gift explaining why you are giving it to her. This may be a note saying you admire her, that you saw this item and that you thought she might like it. Drop clues as to who you are if you want her to figure it out. Avoid words that make it sound like you are stalking her such as "I've been admiring you from afar." If she knows your handwriting, ask a friend to write the note for you. 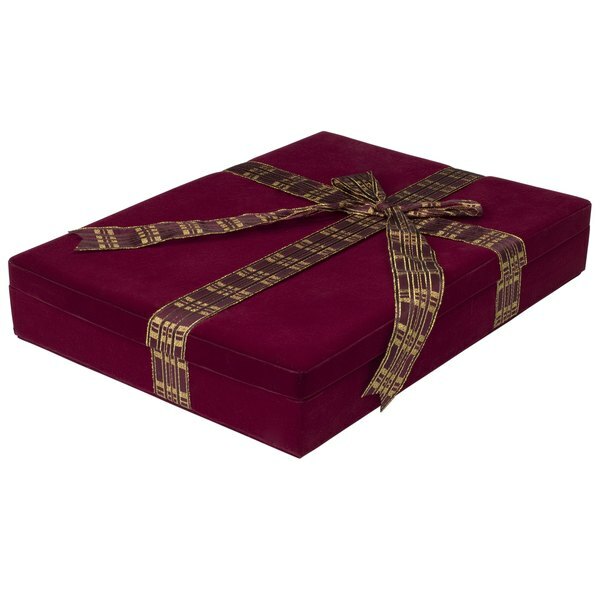 Place the gift in a shipping box from the post office or bought at an office supply store. This way the gift looks legit. An unmarked, unidentified package can look suspicious, especially when someone is not expecting it. Label the box without a return address, or if it's a co-worker or classmate, use the work or school address as a return address. Mail it from home or the post office. To avoid awkward situations, do not hand deliver it. Maybe you want to use the gift not only to convey your feelings but also to let her know who you are. In that case, just write a pleasant note to go along with the gift saying that your find her attractive or interesting and that you'd like to get to know her better. Sign the note, then wait and see what comes of it. When a Guy Says Sweet Things to You, What Are You Suppose to Say Back?